Baked Beans Recipe in the Oven | Simple. Tasty. Good. 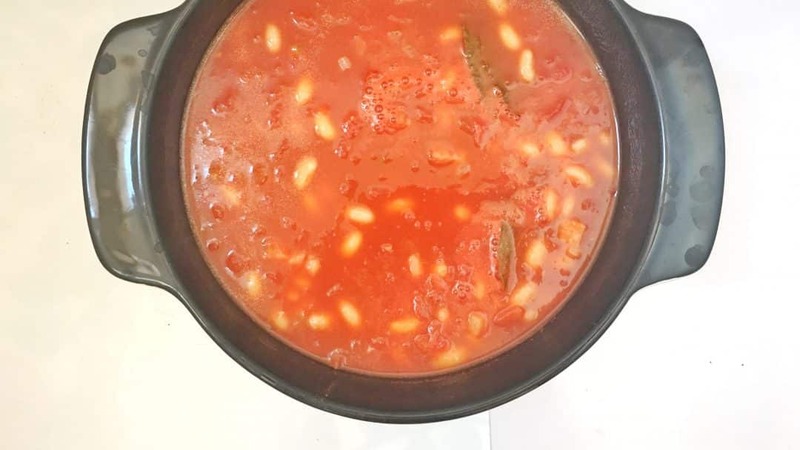 I will show you how to prepare a superb baked beans recipe two ways: one in prepared the oven and then a second one made in my KitchenAid Cook Processor! Is there also a taste and texture difference? Let’s find out! Who could ever resist a bowlful silky smooth baked beans? No one. My knees already start to buckle when I’m thinking of one silly can of baked beans because it’s so good. 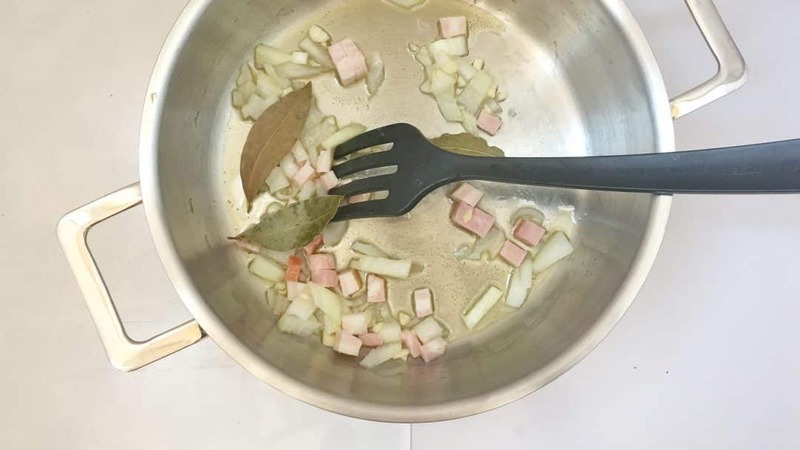 But here’s an easy peasy recipe I prepared just yesterday. I served the baked beans with a roasted stuffed pork tenderloin. Gorgeous. 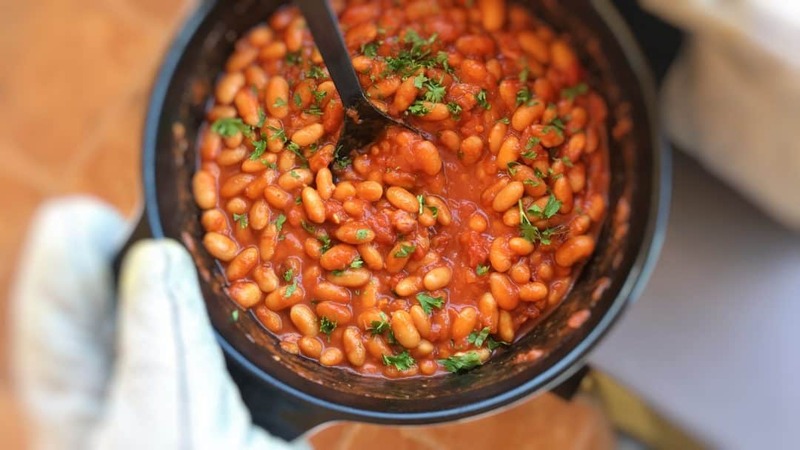 You can easily prepare this baked beans recipe in a slow cooker if you have one. 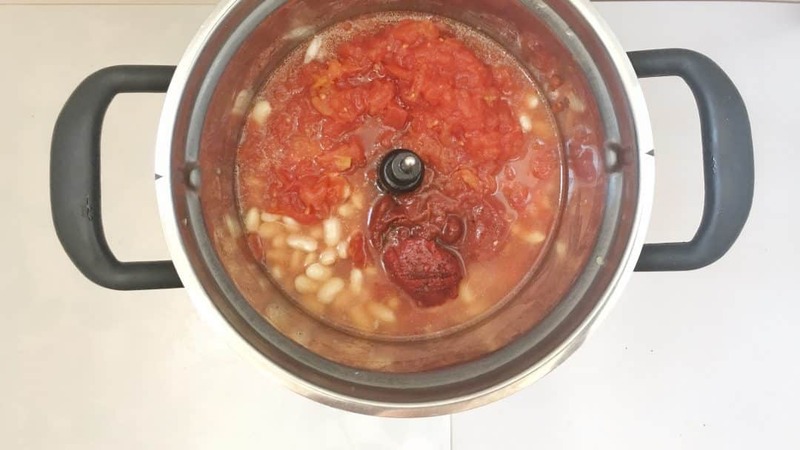 I prepared half of these baked beans in the oven and then the other portion in my KitchenAid Cook Processor: scroll down to find the step by step recipe! 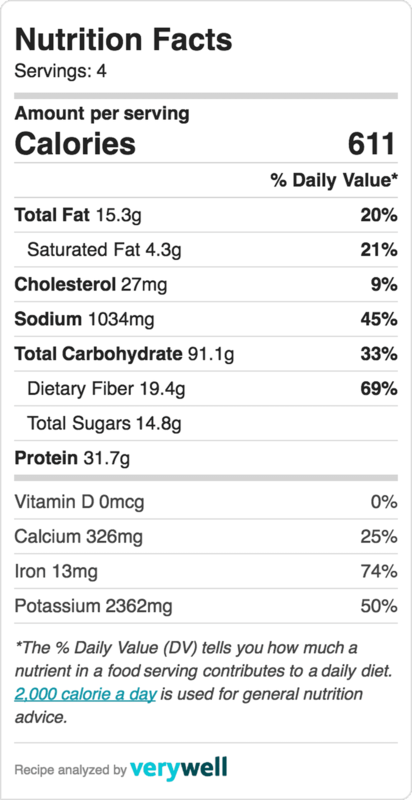 I added ‘optional’ to the salted bacon in the ingredients list below, just in case you want make this baked beans dish a vegetarian one. Good to know if you are making a large batch of baked beans like me: you can let the baked beans cool down fully, divide them into portion over plastic ziplock bags and then freeze the beans! I did it and I can guarantee you that it’s fantastic because the taste stays just the same. Little reminder! 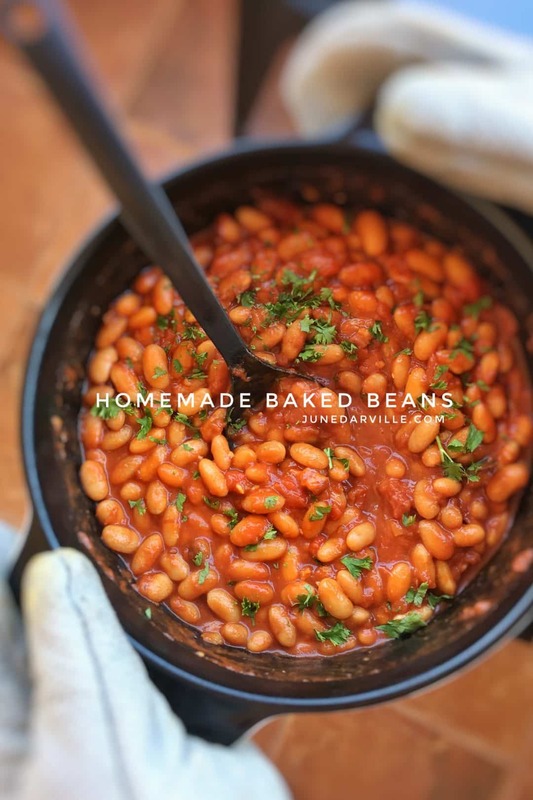 Do you love oven baked beans? 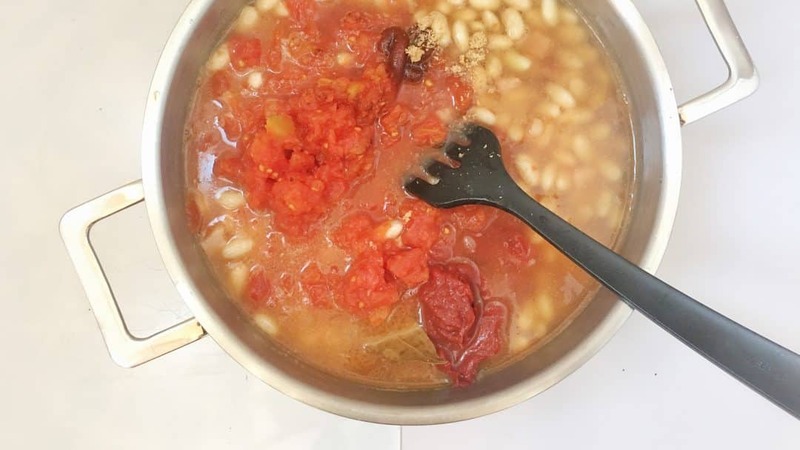 Then you definitely have to check out my French cassoulet recipe with confit duck leg! And another gorgeous bean stew, this time from Spain: my super soft and smooth fabada Asturiana with black pudding, pork belly and chorizo sausage! Or how about a Jewish cholent with shredded confit duck and barley? Do enjoy this beauty, bon appétit! 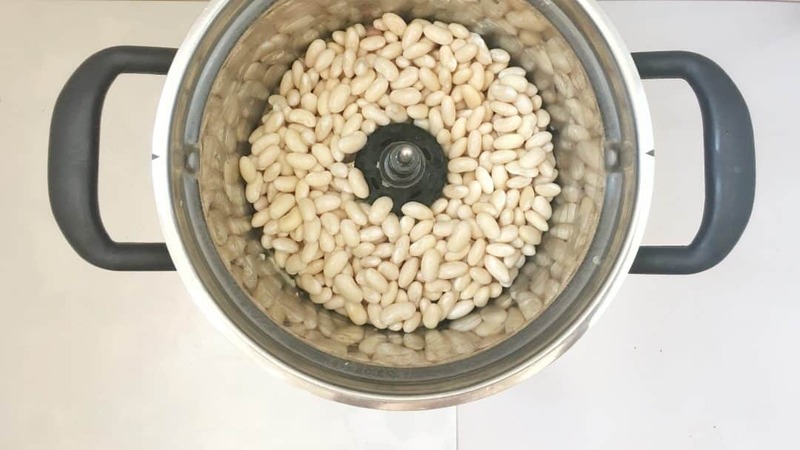 Let the dried white beans soak overnight. Then drain them. Add the chopped onion and garlic to a large pan. Chop the bacon finely (if using). Also add it to the pan together with the olive oil. Place the pan over medium heat until the oil is hot. Stir fry the ingredients for 5 minutes. Then add the drained soaked beans. Add the rest of the ingredients also. Season with a good dash of pepper and salt. Stir the ingredients well. Bring them to a good boil while you preheat the oven to 400°F (200°C). Then take the pan off the heat and pour the beans and tomato sauce in a large baking dish. Cover with a lid or tinfoil. Then place the dish in the hot oven and bake the beans for 2 hours. Check the beans halfway through cooking time, stir them well. Then turn the oven off but leave the dish with the beans in the hot oven for another hour. Remove the dish, check the seasoning and add extra pepper, salt, ketchup or brown sugar to taste if necessary. Also check if the beans are tender: they should be super soft and smooth. Serve the beans warm. So here it is then: baked beans in my KitchenAid Cook Processor! I hear you wonder: was there a taste difference between both cooking methods then? 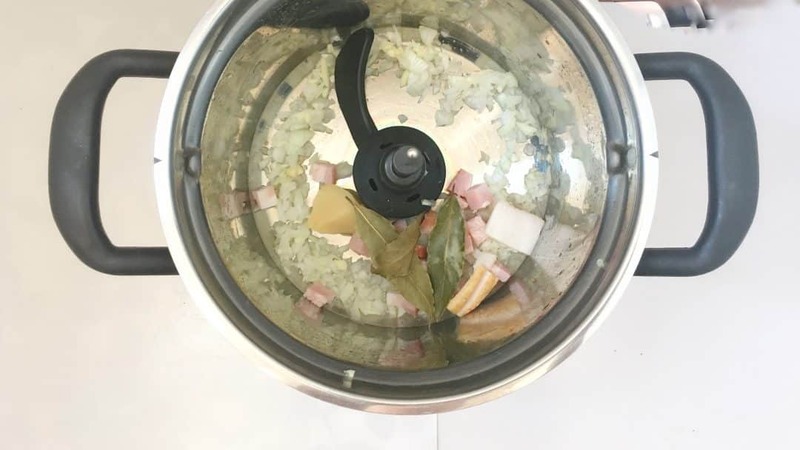 Honestly no, the Cook Processor also did a fine job. I was a bit anxious because I thought that the hot simmering tomato sauce might stick to the bottom of the bowl after cooking and stewing for so long but I checked it and the bottom was spotless and shiny, no burnt bits! 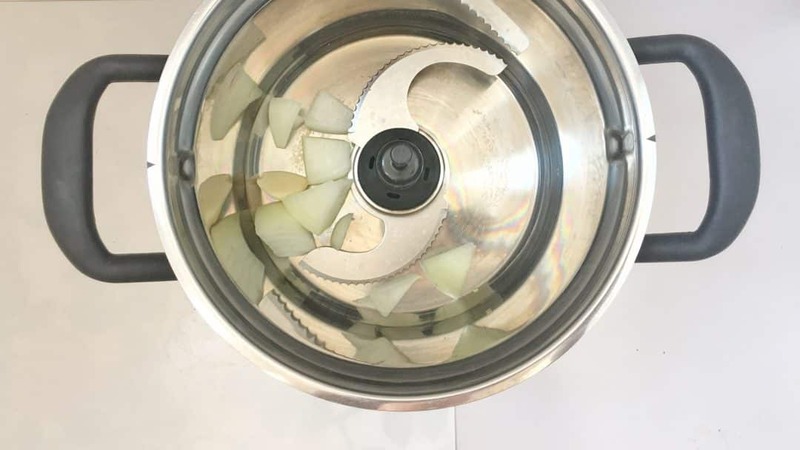 Add the peeled onion and garlic to the bowl of the Cook Processor fitted with the MultiBlade. Close the lid and press Pulse for 5 seconds. Remove the MultiBlade and insert the StirAssist. Scrape down the sides of the bowl and then add the diced bacon (if using). Close the lid, insert the measuring cup and select STEW P5. Press Start to activate Step 1. Then after that, drain the soaked beans and add them to the bowl of the Cook Processor. Also add the rest of the ingredients. Finish with a good dash of pepper and salt. Close the lid and adjust the cooking to 2 hours instead of 25 minutes. Then press Start to activate Step 2. Once the program is finished, press cancel to exit the keep warm mode. Remove the measuring cup and let the beans rest for another 30 minutes in the Cook Processor bowl until cooled down a little. Then serve. 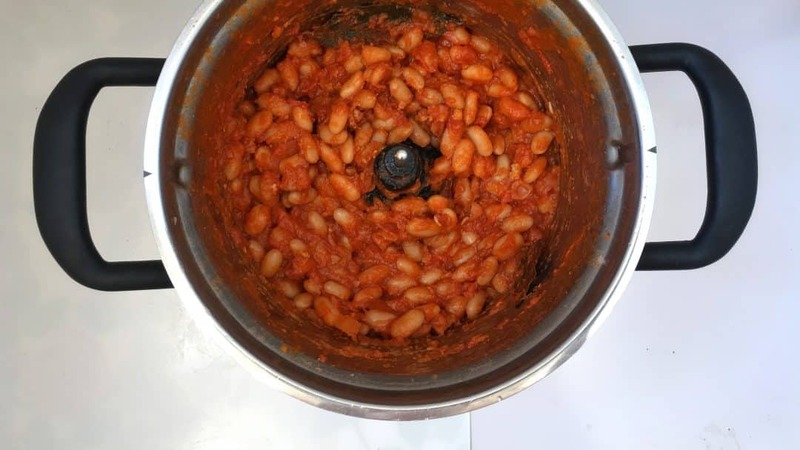 The star of this dish is definitely the beans! So play safe a choose beans that are of good quality because this will make or break it. No canned beans please for this recipe! Dried white beans is what you want to buy. And not just any type of white beans. I go for the most expensive dried beans. There’s this type of white dried beans here in Spain that are perfect for stews. 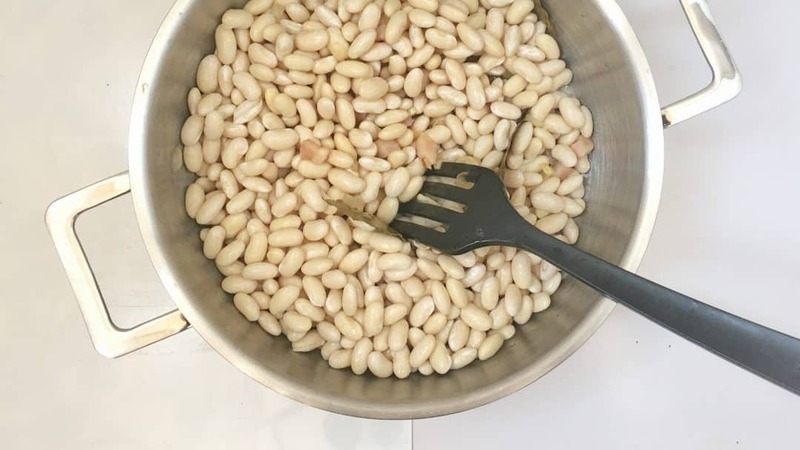 These ‘alubias blancas’ or white beans then come from the Spanish Léon region, la alubia de La Bañeza-León. How expensive are they? Well, they come in fabric bags and look quite fancy but in the end you’ll pay 3 to 4 euros ($3,5 to $4,7) for about 2 pounds (900 g), not more. Very reasonably priced still! The cheaper dried white beans are 4 to 5 times cheaper. So why go for a more expensive one? Because there’s a difference in quality. After soaking the dried beans and stewing them, the beans will keep their shape. The cheaper beans tend to break in half and fall apart. In the end it’s all about texture!